This would be my choice for a prize, a marine triple expansion engine to an O.B. Bolton design in 1/12 scale, owner is Brian Newbound. I think this is based on the casting set from Brunell Models. The construction series was in Model Engineer from August 1985. 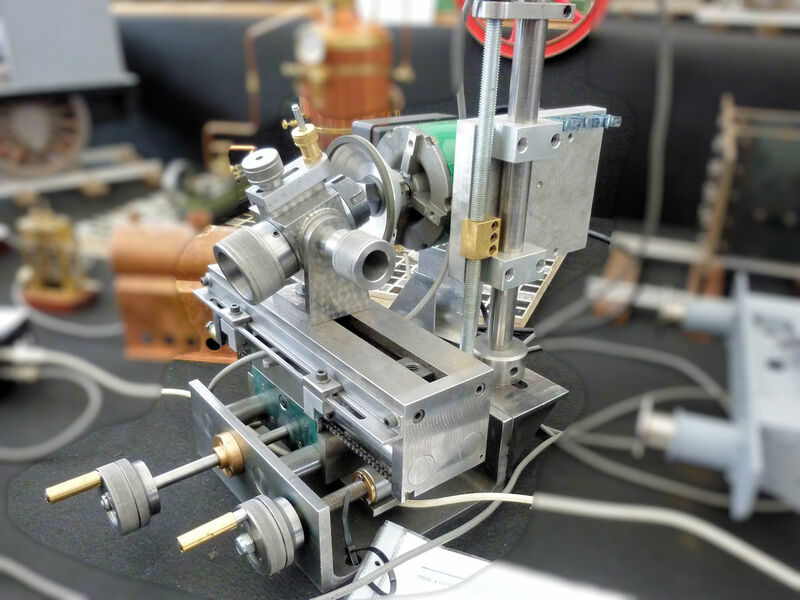 A very good looking engine but I don′t know who built this one. Two 7¼” locomotives caught my eye. The first is a &frac13; full size model of Phillips and Rangeley Railroad No. 3. (George M Goodwin) This is a 2-6-0 tender engine built for the lumber trade. 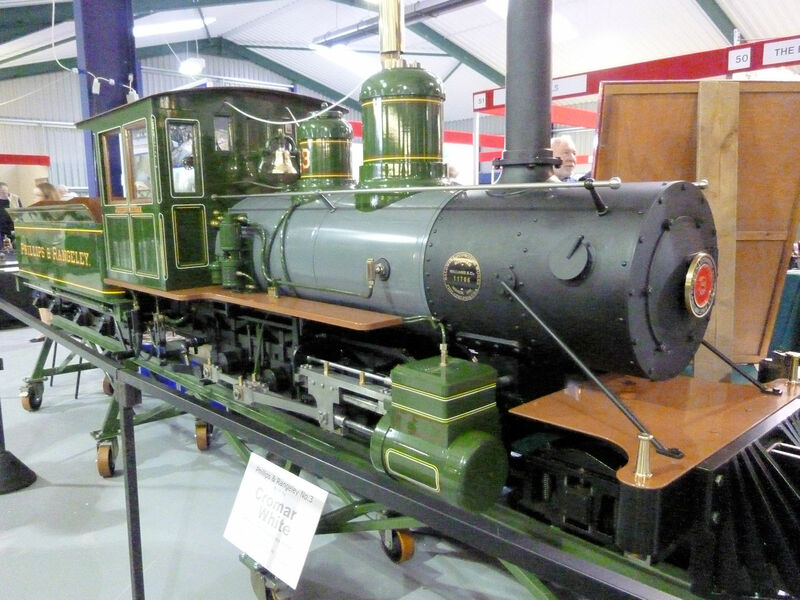 The original, 2 foot gauge engine, was built by the Baldwin Locomotive Works in 1891 works number 11706. 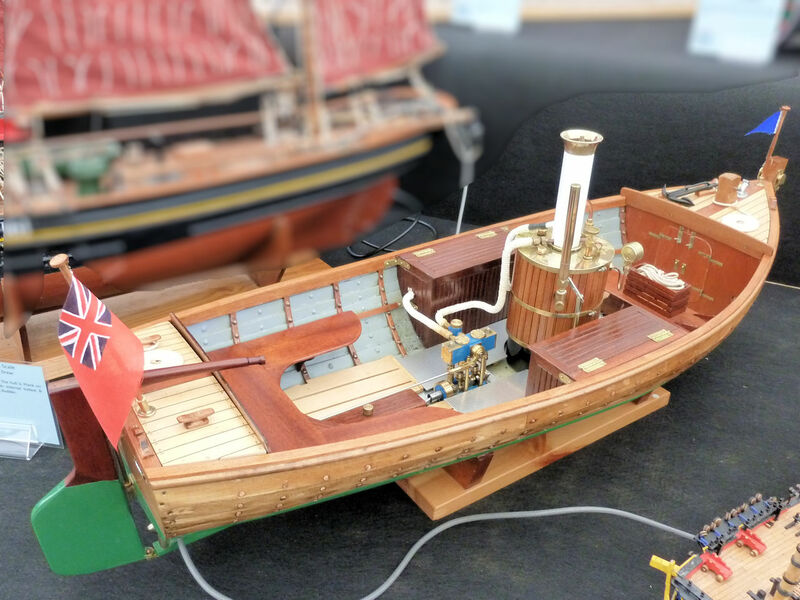 This model has been professionally built by Cromar White for Bob Whitfield in 7¼” gauge. The engine is huge and will probably soon be seen on the Echills Wood Railway in Kingsbury Water Park. 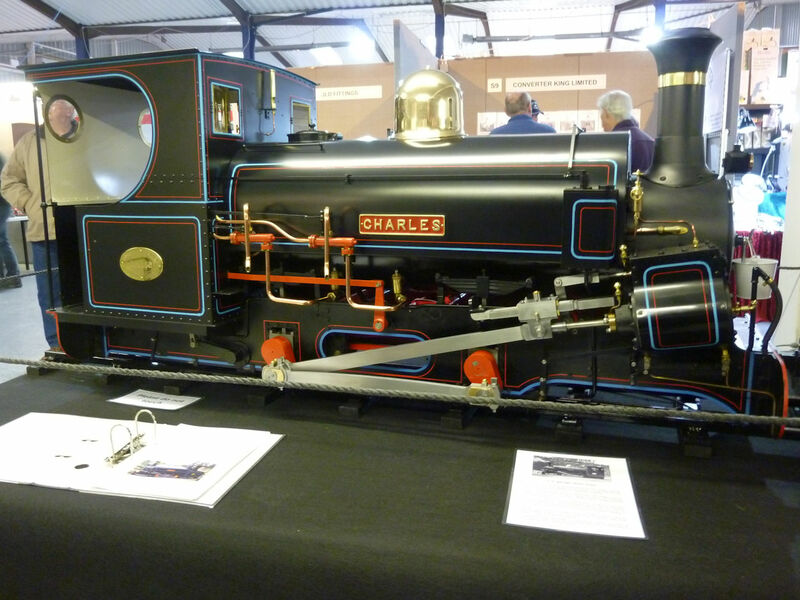 A bit smaller but none the less impressive is this model of Charles an 0-4-0 saddle tank quarry locomotive, part of the City of Oxford Society of Model Engineers display. The original was built by the Hunslet Engine Company Ltd of Leeds in 1882, with a works number of 283. for the 1′ 10¾” gauge Penrhyn Railway to carry slate from the Bethesda quarry. 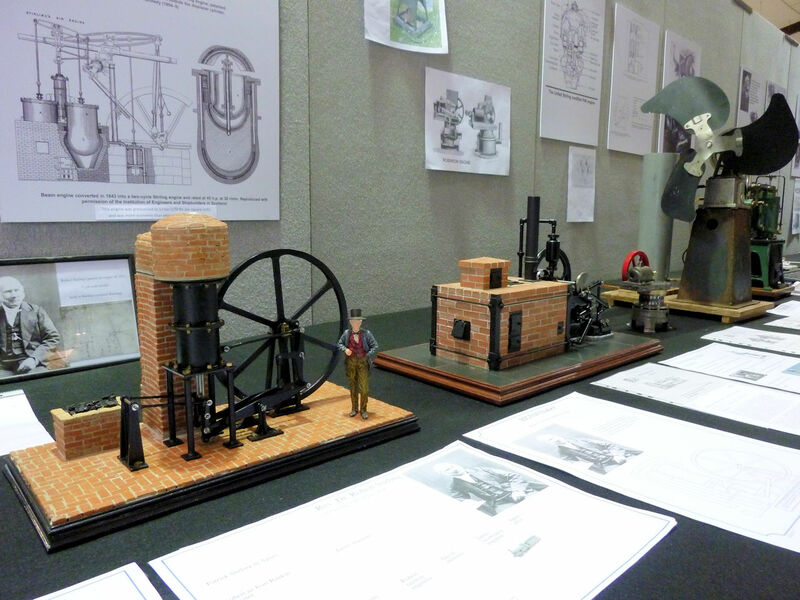 There were about 40 club and society stands at the exhibition and there were some excellent and interesting displays. Hereford had a good display covering many aspects of model engineering with an interesting theme on “Grandads Workshop” with plenty of old tools on display. Reminded me of my own workshop! 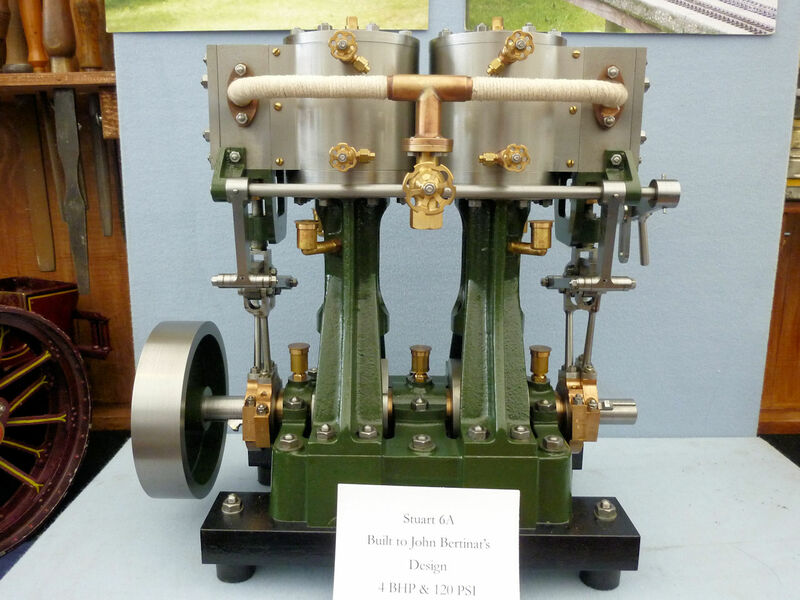 This model of a Stuart 6A twin vertical steam engine (This engine is actually a Stuart Turner Swan, two 5A’s back to back, the label was updated after I had taken the photo) was part of the diverse display. The Spitfire was quite appropriate celebrating it′s 80th anniversary this year. 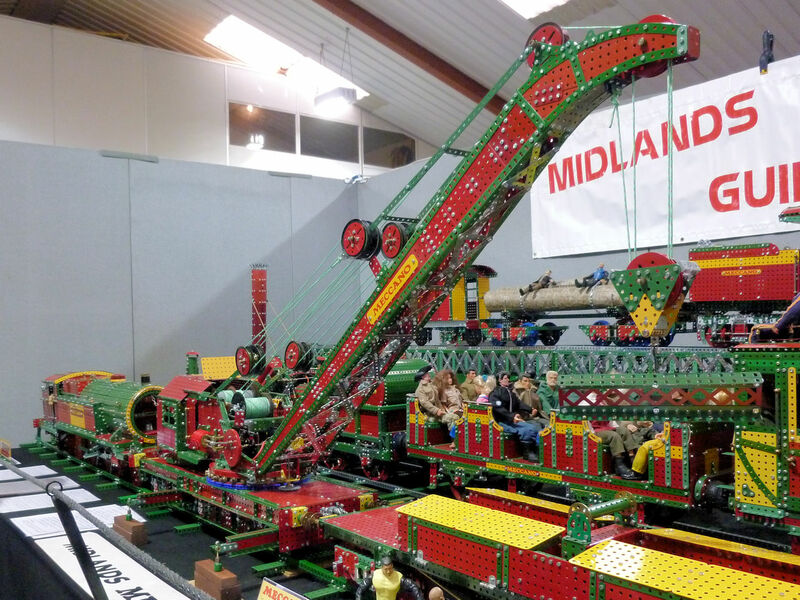 The Midlands Meccano Guild had an interesting stand with many of the large exhibits motorised and in operation. The picture on the box of my Meccano set had a picture like this crane but there were never enough parts to built anything remotely like it. No exhibition would be complete without the splendid display put on by the Guild of Model Wheelwrights. The 1930′s horse drawn thistle cutter by Brian Young is just one of the excellent models that he had on display. 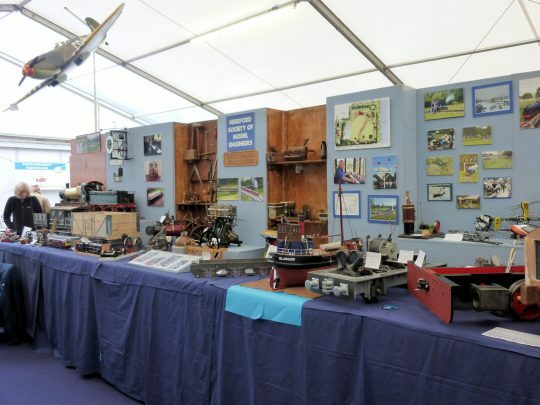 I noticed two of his tar sprayers were on the competition stand. The 1/8th scale model of a Lincolnshire hermaphrodite farm wagon, by Patrick Hall, from a David Wray plan. 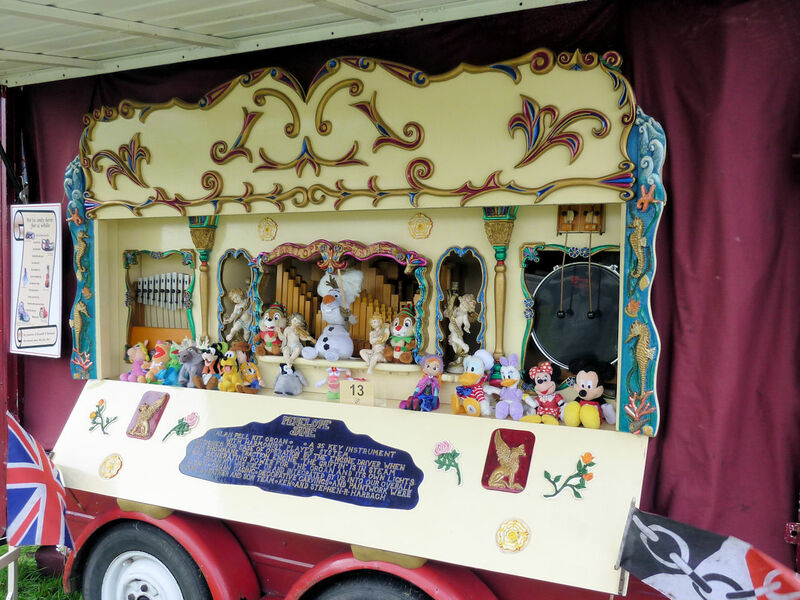 This type of vehicle was common throughout the East Midlands, and for most of the year the rear part only was used as a tip cart. At harvest time a conversion provided the wagon with a large carrying platform needed for hay and corn. The model here shows the forecarriage and loading platform fitted. 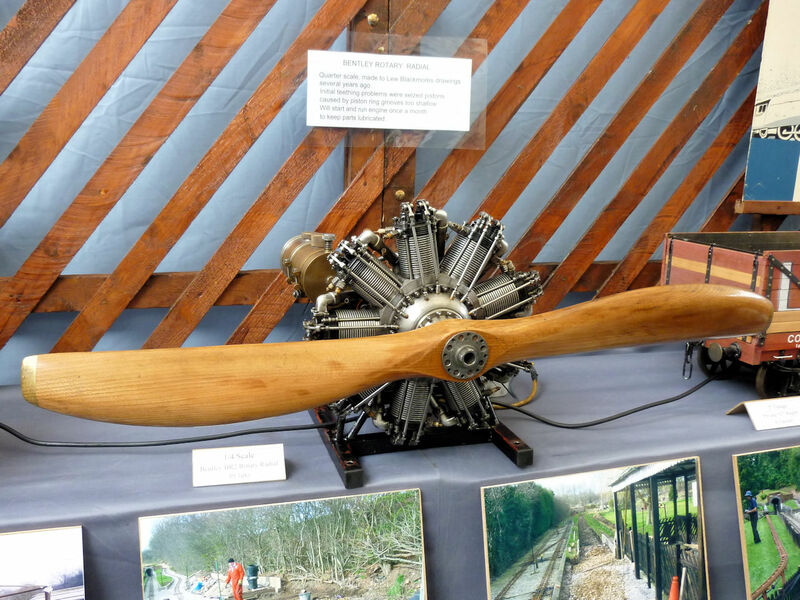 The Stirling Engine Society in addition to their usual multi-engined display also had a very interesting display to celebrate Robert Stirling′s bicentenary. Lots of information on display would probably make a good book and definitely too much to take in on the day. 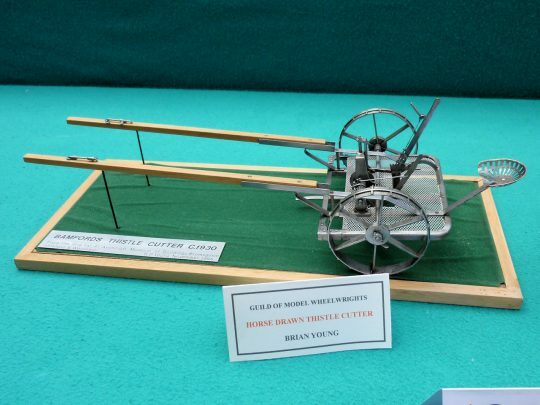 The tool and cutter grinder by David Godley was part of the Wolverhampton & District Society display and appears to be an original design. On the same stand was this small traction engine, reminiscent of a Mamod but more detailed but does not look to be of any prototype. I did not see any notes or builders name. 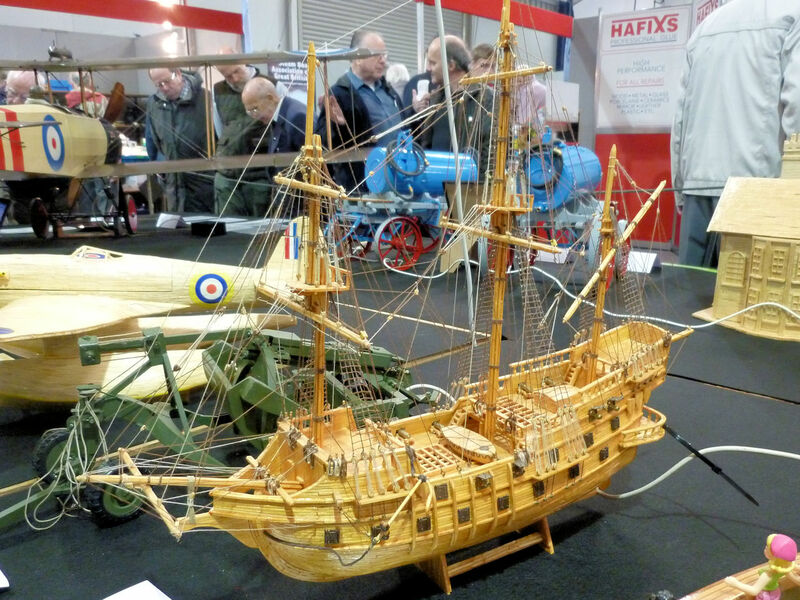 An unusual model on the competition stand of a Tudor Privateer made from matchsticks. 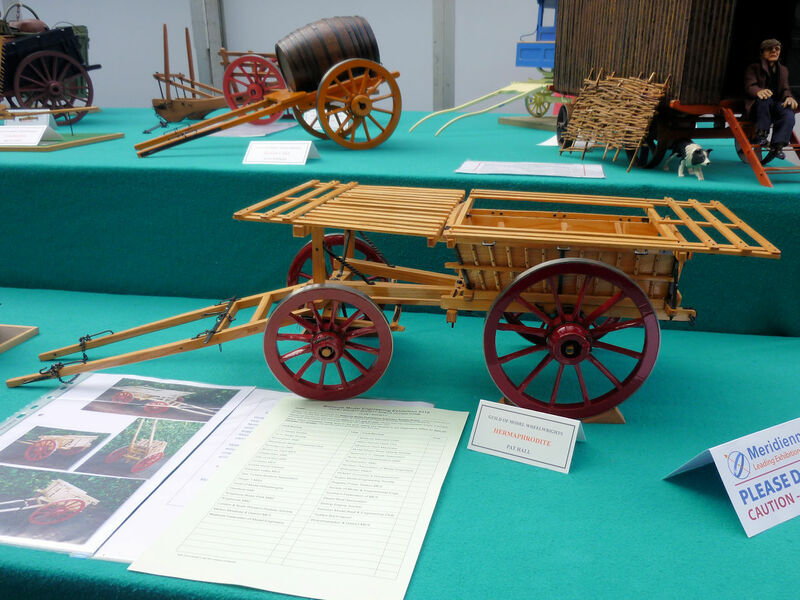 There were a few matchstick models on display, quite unusual and must have taken ages to build. 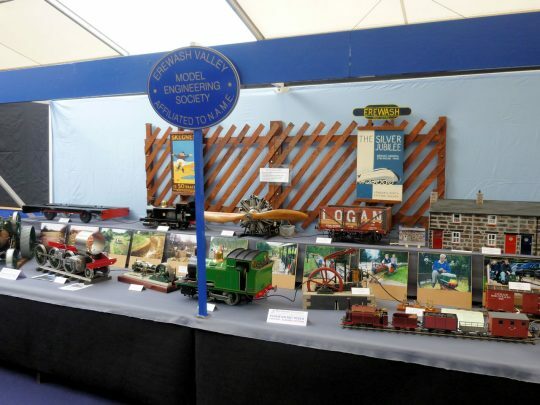 The Erewash Valley Model Engineering Society had a good display with a fine example of the Bentley BR2 rotary radial by P. Clarke centre stage. Designed by Walter Bentley towards the end of WW1 the 9 cyclinder radial engine was used in several well known aircraft including the Sopwith Camel and the Vickers Vampire. 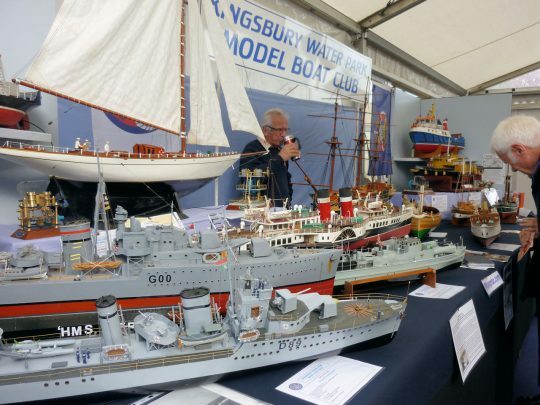 Kingsbury Water Park Model Boat Club had an excellent stand with a good display of both naval and merchant vessels. 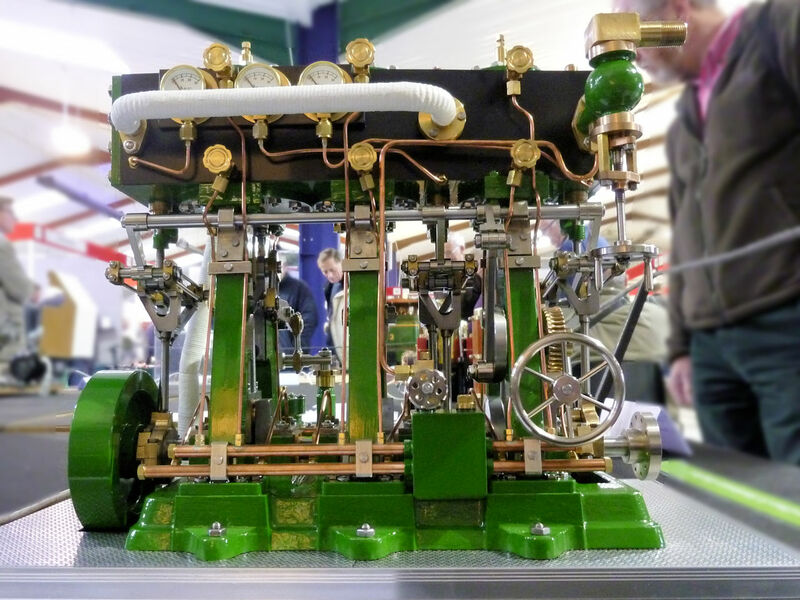 I noticed at the rear of the display a couple of marine steam engine models. The traction engine enthusiast was well catered for. 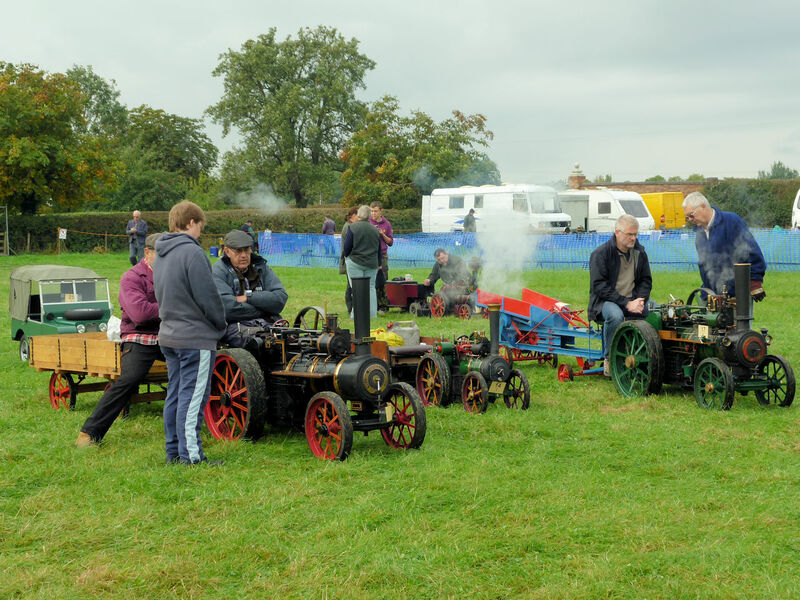 As well as several exhibits on the club stands and the large work in progress on the Model Steam Road Vehicle Society stand in hall 2, the Fosse Way Steamers were putting on a good show outside. The photo shows just a few as others were spread out around the field. Not actually a steam organ as such the Alan Pell 35 key organ was belting out some well known tunes near to the rear door. This is a kit and if you have about £14,000 to spare you can have your own to entertain the neighbours! 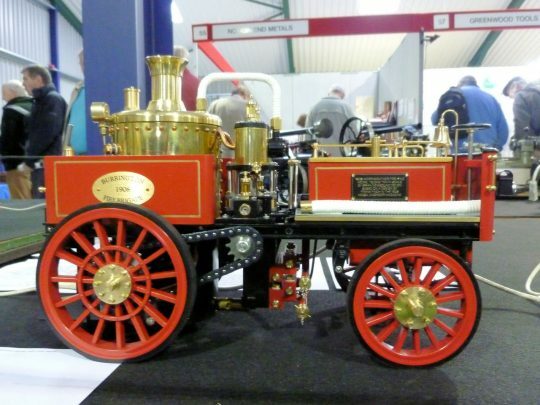 The 1908 Merryweather Fire King was one of the competition exhibits. Owned by Brian Newbound this is a fine model of the original which was one of the first self propelled fire engines. Capable of 20mph or more but had problems with hills unless a good head of steam was available. 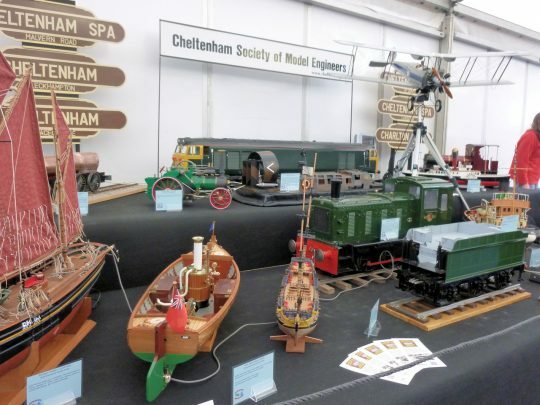 Cheltenham Society of Model Engineers had a fine looking display advertising well the diversity of interests and talent at the club. The open steam launch model “Amy” by Gordon Drew was very good, clinker built and fully operational with radio control and an “Anton Quartz” piston valve steam engine. I took plenty of photos but the large number of visitors made decent photography difficult at times. My last photo here taken in the somewhat poor light under the mezzanine restaurant is of the Bromsgrove Society of Model Engineers stand which had this fine display of locos in all scales. On the commercial front there were plenty of traders at the show. 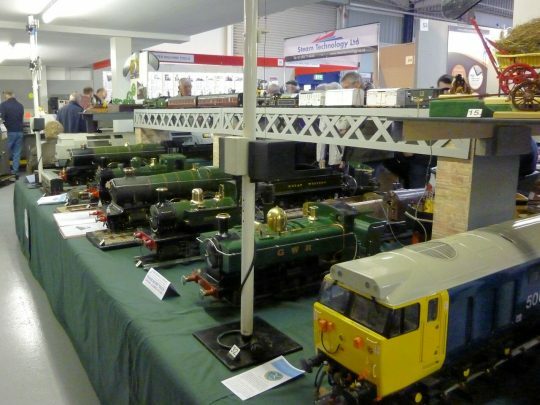 Warco had a large display as did RDG, Chester and Tracy Tools. One newcomer I noticed was CNC4YOU who had an interesting home made mill on display. I thought the show was very good but would have liked a bit more room, some of the stands were a bit close together making viewing and walking difficult at times. Catering seemed pretty good and I did get a good cup of coffee from the outside catering van. One minor gripe was that some of the exhibits were poorly labelled and some of the clubs put all the exhibit information in a book with numbers on the exhibits, alright but if it′s busy you can′t always get to the book. It would also be nice to know who built things rather than who owns it. Anyone can buy a model, the skill is in making it. 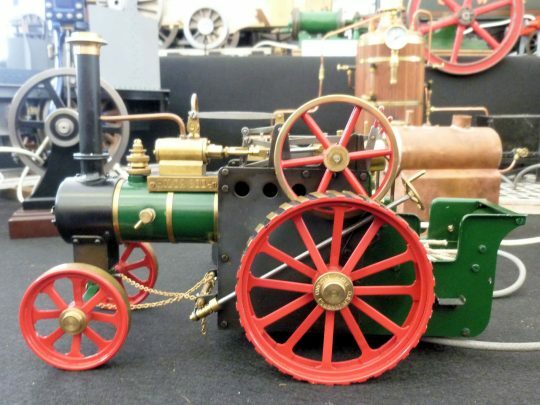 A quick question to “those that know” on the Model Engineer Forums shows that the engine is in fact a Stuart Turner Swan. The label on the engine was updated sometime after I had taken the photo.